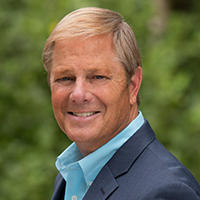 Rocky Wagonhurst serves as Co-Founder, Vice President and Chairman of the Board of the Claire Marie Foundation. More importantly, he is Claire’s Dad and strives to share her story. With Claire’s passing, Rocky’s launched a personal awareness campaign and solo bicycle journey of 620 miles to symbolically “take Claire to college” in September of 2015. A marathon runner, Rocky leads and promote’s CMF’s involvement as a Charity Team in the Baltimore Running Festival. A media executive of nearly 35 years in Los Angeles, Denver, Sacramento and Baltimore, Rocky is the Director of Sales for WJZ TV, a CBS O&O.